Andrea Clarke has recently joined the Ascendant Recruitment team in our Northampton office, and we caught up with her to chat about her role and what she thinks makes Ascendant Recruitment different from other recruiters. 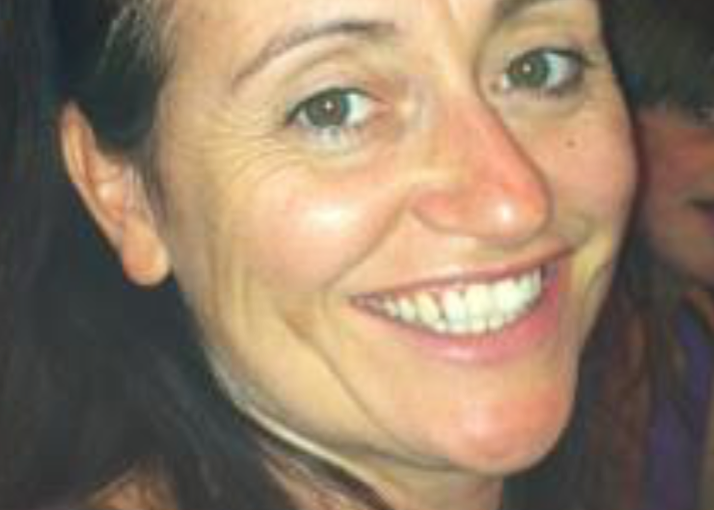 Before joining the team at Ascendant Recruitment, Andrea worked in the Health and Fitness industry for 22 years. During that time, she had eight different roles, with her most recent being a customer service manager. Andrea Clarke After taking voluntary redundancy from her customer service role, Andrea decided to change industries. She started working at Ascendant Recruitment just a few weeks ago, and joined the team because of the great people. “The people here are brilliant. And the fantastic way I was treated when I arrived is the thing that I feel makes Ascendant Recruitment stand out.” The most rewarding thing about Andrea’s job as a recruitment administrator? “Definitely helping people. Being part of a team that helps place people in jobs – that’s the rewarding part of my role. For me, it’s important that I like the industry that I work in. If you want a successful career in recruitment, I think you need good attention to detail, high levels of accuracy and you definitely need to be organised! Those are the three most important traits for my role in recruitment, anyway.” So what makes Ascendant Recruitment different from other recruiters? Andrea explains, “The work/life balance here is really good. We’re able to work flexible hours, which makes such a big difference and is important to many of us. The individuals I’ve met and the people – both who work here and who I’ve helped to place in jobs – are inspiring and great to work with.” Ascendant Recruitment has a clear process in place for ensuring they meet and get to know candidates. “Ascendant Recruitment has a fantastic process in that they always meet candidates before placing them in roles, which I think is important. In another experience I had with a recruiter, I felt like I was almost being ‘sold’ by them, and they wouldn’t take no for an answer. It was an unpleasant experience. Ascendant Recruitment is the complete opposite of that.” Find out more about Northampton roles by visiting www.ascendantrecruitment.co.uk or calling 01604 439380. Visit the Ascendant Recruitment Facebook page, Twitter feed and Instagram account for more updates, too! Calling All Warehouse and Logistics Staff! Are you currently working in a warehouse or logistics role in Milton Keynes and think you’d like a new opportunity? Are you looking to earn more money or maybe work different hours? Ascendant Recruitment are looking out for great new people to fill a huge range of warehouse and logistics roles – everything from forklift driving, production and picking and packing. So if you're looking for permanent or temporary work then we’d love to meet you! We are hosting a recruitment event so please come along and have a drink on us while we register you so that we can find you a great new job! Thursday 7th February Brewhouse & Kitchen ( in the Theatre District in Central Milton Keynes - you may know it as the Old Lloyds bar) Drop in any time between 5-7pm Once we know what you’re looking for, we’ll be in touch to help you find a great new job! With over 15 years’ recruitment experience, we have relationships with some of MK’s best employers, so come and meet us so that we can help you to get a great new role! BOOK YOUR PLACE HERE to find out how you can get a great new job in 2019!! Please note that there isn’t disabled access at this venue – please get in touch on info@ascendantrecruitment.co.uk and we can provide an alternative option if needed. A new year calls for an evaluation of your achievements and resolutions. It’s a time for reflection but also for making goals and plans for the future. It’s the ideal opportunity to work out what changes you want to make, and that includes evaluating your job and career path. So, we’ve come up with eight resolutions that could make a significant difference to your career. 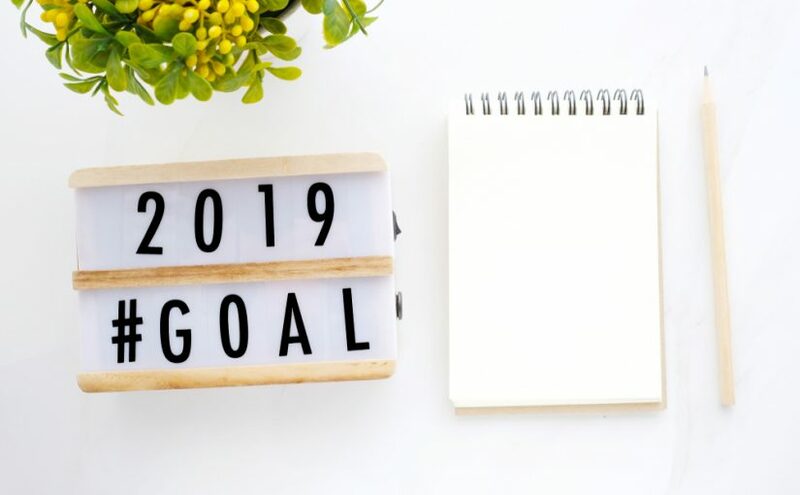 Whether you choose to focus on one or several of them, see the new year as a fresh start; it’s the perfect time to work on your goals for 2019 and beyond. 1. Check your CV Whether you’re actively job-seeking or not, it’s important to keep regular checks on your CV to make sure it is fully up-to-date. If your CV is poorly structured, out of date or difficult to read, it’s likely to be ignored. While you’re at it, update your social media platforms (ensuring any public posts or photographs show you in a positive light). If you’re not a jobseeker, you will reap the benefits when you eventually find yourself looking for a new role or even if you’re made redundant, because you’ll have an updated CV ready to go. 2. Get a pay-rise If you’re happy with your current job and like the company you work for, you’re not likely to be looking for a new job. However, you should still aim to work towards a pay-rise. Talk to your manager about the next steps. Is there anything else you can do or more responsibility you can take on? They should be more than happy to give you clear targets, which then means you can put a plan into action and achieve your goal of a pay-rise. 3. Combat clock-watching Counting down the hours until lunchtime or working out how many minutes you’ve got until home time are clear signs that you’re bored in your current role. If you’re unmotivated and uninspired, it could be time to start looking for a new job. After all, time flies when you’re having fun, and you won’t be clock-watching when you’re in a job you love. 4. Take interest in your industry Whether you’re looking for a new job or not, you should keep your social media pages up to date, follow accounts relevant to your sector, and update your LinkedIn page regularly. If you’re not a social media whizz, why not sign up to relevant newsletters or magazines? It’s important to keep up-to-date with the latest changes and developments within your sector. 5. Network, network, network Networking can take place in a variety of ways, from attending local business events and talks to simply connecting with new people on LinkedIn. There’s no reason not to expand your network of contacts and, even if you’re not looking for a new job right now, networking will mean you have a ready-made list of people to contact when you do want to move jobs. At a minimum, try to make at least one new contact every month. 6. Assess your work/life balance If you’ve been skipping your breaks or find yourself looking at work emails while you’re at home, it’s time to assess your work/life balance. Everyone should be able to switch off from their work schedule, but sometimes the distinction between work and home life can become blurred. There are a number of ways to improve your work/life balance, but our main advice would be to delete any work email apps from your phone if you don’t need to check them at home, and to allocate some time every evening to ‘unplug’ and do something unrelated to your phone, laptop and social media. The ideal time to ‘unplug’ is before bedtime, as exposure to electronics and screens before bed can interrupt your sleep patterns and negatively impact the quality of your sleep. 7. Learn something new However long you’ve been in your current job or industry, there’s always something new to learn. There are hundreds and hundreds of skills that could benefit your current role and responsibilities but also your wider career. If you’ve got one in mind, search for a local course or training sessions that cater to that particular skill. If you’re not sure where to start, talk with your manager about learning something new. Your current employer may even offer subsided training sessions, free-of-charge courses or send you to a relevant conference. 8. Take action and quit If you feel like it’s time for a change, a new challenge or a steer in a new direction, it could be time to quit your current job. Leaving your job doesn’t mean you’ve failed; instead, it means you’re acting on your goals, making positive changes and taking action to develop your career. Having said this, don’t quit without a plan of action. Research your opportunities and have a plan in place before resigning. Whether you’re looking for a new job or continuing to develop in a role you already enjoy and feel passionate about, Ascendant Recruitment can help you find your dream job. Wherever you are in your career, now is the perfect time to take action. Take a look at our social media pages to find out more about current job vacancies, or contact us today. Email info@ascendantrecruitment.co.uk or call 01604 439380 (Northampton office) / 01908 200270 (Milton Keynes office). No matter what sector your business is in, your employees’ mind-set and happiness are an integral part of your company being a success. If your business is run by a happy, motivated team of people, they’ll want to do well, successfully meet targets, progress and see the business develop. So, in order to ensure the effective running of your business, how should you keep employees happy and maintain motivation. 1. Give achievements genuine recognition It can feel unrewarding to work hard and keep achieving goals without any recognition of these achievements so motivate your staff with regular rewards. This could mean giving a monthly bonus or pay rise, or setting up an ‘employee of the month’ scheme, which gives company-wide recognition and a physical or financial reward for winning the accolade. It’s all about saying thank you and actively praising employees for meeting milestones. 2. Offer a career One of the best incentives you can offer is clear career progression. After all, one of the main reasons that good employees leave is because they run out of options or start to think there is no more room for progression in your company. Communicate with members of your team and commit to helping them become even more brilliant at their job. Ask whether they would like extra training, or maybe time off for conferences. Also be prepared for employees requesting career development moves. If you can give your employees something more than just the nine to five routine, you’ll have a more loyal workforce, and the length of service from your employees will flourish. 3. Give your employees a voice If your staff feel ignored, they will quickly lose motivation and become less productive within your workforce. Setting up clear channels of honest, genuine communication will not only make each member of the team feel like you’re interested in their opinions but will also provide you with a useful way to stay in touch with them. Giving your employees a voice and taking on board their opinions will benefit you as well, as you’ll open up a new stream of ideas, thoughts and questioning that will be useful when it comes to improving your business and updating your business plan. 4. Provide financial rewards Most employees work efficiently when they know they are getting paid well. If they feel like they are underpaid for the work being done, they will usually leave. Therefore, it’s important to regularly assess your salary levels to ensure your company is paying industry standards at minimum. Other benefits to consider include pre-paid childcare, sports memberships or a particular number of hours per week that can be worked from home. If you have a shared online platform for your employees, you could have a ‘Highlights’ page where you post about individuals’ effective team work or strong organisation, for example, and each employee mentioned on the page could go into a monetary prize draw at the end of the month. 5. Keep tabs on your employees’ work/life balance Remember that it should never be all work and no play. Another reason for employee attrition is when work overwhelms everything else in your employees’ lives and the all-important work/life balance becomes thrown off or disappears altogether. Long hours and relentless schedules can worryingly result in employee burnout, which often means losing your best team members to a better-balanced workplace. There are smaller things that can be done, such as ensuring staff take their lunch break instead of working through it, but also consider offering flexible working hours, too. 6. Give them more responsibility Is your employee lazy or bored? If you find yourself questioning an employee’s mind-set, it will often be the case that they’re feeling unproductive or demotivated because their role is too easy. Don’t under-use your staff! Hand over more responsibility wherever you can. If you’re unsure what type of extra responsibility to give employees, ask what they’re interested in, what else they’d like to learn and what they like to do outside of work. Maybe they could spend two hours per week in the company’s marketing department, taking responsibility for some of the advertising content? This would be sure-fire way of providing more responsibility and offering more room for personal and workplace development. Put these six steps into action and you’ll notice that your employees are happy and motivated. Running a company is all about maintaining productivity as well as thinking about each employee as an individual with their own aspirations. Career prospects, a reliable rewards system, genuine communication and giving credit will provide a firm basis for great working relationships. If you’re a business looking for a recruitment agency in Northampton or Milton Keynes, contact Ascendant Recruitment today. Email info@ascendantrecruitment.co.uk or call 01908 200270 (Milton Keynes) / 01604 439380 (Northampton). Why Should Businesses Use Recruitment Agencies? In our previous post ‘What value does a good agency add?’ we considered the main reasons a business might team up with an agency to support their recruitment strategy. As we have discovered, there are numerous advantages to working with a good recruitment agency, including: Access to highly-skilled candidates Saves business time (and money) Most agencies have an in-depth knowledge of sector/industry Salary benchmarking (based on our market knowledge) To complete the blog series, we spoke with our Managing Director Nick Peacock, to ask more specific questions on the subject. Nick established Ascendant Recruitment in 2003, and since then, it’s grown to house a team of 15 highly-skilled consultants who work within a number of divisions including Office Support, Finance and Accounting, Human Resources, Warehousing and Sales and Marketing. Why should businesses use recruitment agencies? First and foremost, working with an efficient and reputable agency will save you time. It’s a proven cost-effective method that will enable you (and your business) access to candidates that aren’t advertising themselves on a job board. We often find that the best people for our roles are people who aren’t necessarily looking for a new role, but will move if a great role is placed in front of them. How can clients identify a good, credible agency? Ask the agency about their processes. It’s important you have a clear understanding of how the agency functions on the day-to-day. Do your research. Find out who their main clients are. If they work with influential companies or competitors, chances are they have highly-skilled candidates you could hire. You can also request references and testimonials – and check their social media to gauge how active and ‘present’ they are across various channels and platforms. Is it best to use an agency that’s local to you? Not necessarily but we tend to become extensions of our clients’ HR departments and like to be close. But ultimately this depends on how your own business functions and whether any of the roles can be done remotely (where the candidate works from home), or if they need to be in-house at all times. Some candidates are willing to travel for work, such as commuting into London, if the position is right. Ask the agency for examples of the type of roles they’ve filled that are similar to yours. How do agencies normally advertise roles? What are the most effective forms of advertising? In my experience, I’ve always found that word-of-mouth is the best. At Ascendant Recruitment, we try to utilise various forms of advertising, such as our own website, job boards and open events, and we are doing a lot more recruitment via Facebook now. Recently we hosted an ‘after hours’ event at an independent coffee shop, where our team of recruiters met with local candidates to discuss job opportunities. This was a nice way to meet candidates face-to-face in a comfortable and relaxed setting. How do agencies normally negotiate salaries with the client? Who pays what? Clients normally fix the salary but sometimes they look to us to guide them as we know the local market so well. The client pays a fee based on the permanent salary offered to the candidate. When we supply temporary candidates, we do so at a ‘margin’. Do agencies offer industry insight? How does this benefit the client in the long-run? We have a wider view of the marketplace and can help you to put a solid recruitment strategy into place. We can pull our knowledge of the candidate and local market together to give you the best results possible and to advise you about what you can realistically achieve with your budget. We can tell you what our other clients have experienced and we can help to guide you to get the best possible results. We hope this blog series provided you with an insight into understanding the advantages of working with a recruiter. Whether you’re a job-seeking candidate or a business looking to hire fresh talent, we wish you the best of luck with your search! Should Businesses Look to Agencies for Added Value? There is a perennial question that detractors of our industry ask: What value do agencies add? We have long been used to the many conflicting views surrounding recruitment agencies. Businesses and job-seekers continue to question their value when it comes to finding employment and recruiting candidates. Contrary to the belief of recruitment sceptics, many businesses are continuing to rely on agencies to access highly-skilled, talented employees and to recruit more general members of staff. Most businesses understand the huge value of outsourcing recruitment to professionals whilst leaving their own team to concentrate on their key value-adding duties. As such, the recruitment industry still plays a vital role in the job market when it comes to sourcing the best talent and placing candidates in new roles. In our latest blog series, we are looking at the advantages of using recruitment agencies, whether as a client or candidate. Our last piece focused on the benefits from the candidates’ perspective, but today we’re considering the main reasons more businesses are choosing to work with agencies. Access to highly-skilled candidates, often at short notice Agencies tend to cover a broad range of job types, including temporary and permanent roles, contractors, freelancers and part-time and full-time positions. This means you’re able to access candidates with various backgrounds, working styles and availability. If you’re looking to fill a temporary position, perhaps, for example, you need to cover maternity leave, then agencies can tap into their candidate database and match you with the most suitable individuals. Most consultants use key words – administrator, customer service advisor, HR administrator, sales administrator, credit controller, finance assistant – to optimise their search and cherry-pick the right person for the role. Sector expertise and knowledge The best recruiters have extensive knowledge of their particular sector and market. They should have expertise in the following areas: Ability to access the best talent Knowledge of current salary rates Understand their candidates career expectations Awareness of required skills and competencies for a particular role Up-to-date knowledge of industry, including the main challenges, trends and forecasts etc. Good recruiters will work with you, listen to your needs and be able to offer suggestions based on their understanding of the market. They should also have a demonstrated history of placing candidates in suitable roles. If you’re unsure of the legitimacy and credibility of a particular agency, check their website and the clients listed. You can always get in touch directly and ask for specific examples and testimonials from happy clients. Salary benchmarking based on market knowledge Recruitment agencies offer businesses guidance on salary expectations. They use salary data and local market knowledge to extract information that will directly inform the recruitment process. Time-saving (so you can focus your energy elsewhere) It can take businesses a huge amount of time and money to find the right employee. If you factor in the money spent on advertising roles, and the hours it takes to read CVs, cover letters and interview candidates, it can be hugely disruptive to your working day and cause major set-backs. It’s also risky as major roles don’t get filled. This wasted time and money cannot be recovered in contrast to an agency who only charge (if they are working on a contingency basis) when they have successfully secured a person who has started the work. If you’re looking to fill a role quickly, agencies are the most effective, fool-proof solution. Recruiters screen, filter and profile candidates to ensure they have the skills and competencies required for each position. Individuals registered with agencies usually rank higher than your average job-seeker. If you’re looking to use an agency: Shop around, read reviews and research the best agencies (both local and regional) that represent your sector Use an REC member recruitment agency, as this will ensure the agency adheres to all legal requirements and best practice If you can, arrange to meet with the agency face-to-face Seek out agencies that are proactive when it comes to recruiting candidates. At Ascendant Recruitment we have started running ‘after-hours’ socials, to meet with potential candidates and assess their suitability for our client-base. For further information, read our previous blog post on How to choose the right agency. What Value Does a Good Agency Add? If you’re looking for a new job, the prospect of finding work and updating your CV, LinkedIn and various other platforms can be demotivating. Job-hunting is exhausting, especially if you’re juggling it alongside work, studying and raising a family. An increasing number of us are seeking the help of recruitment agencies for extra support. But what value does a credible agency add? How do job-seekers benefit? And can it really help accelerate your job search? What are the main benefits for job-seekers? There are a number of benefits to signing up with a recruitment agency. Firstly, it can alleviate some of the pressure; a good consultant is proactive, hardworking, efficient and will match you with suitable roles and crucially tell you about roles that aren’t visible yet. Recruitment agencies are there to ensure job-seekers achieve their career goals by placing them in appropriate roles. A good agency will benchmark their candidates against others and suggest skills that might increase their chances of employment. Most recruiters have in-depth knowledge of a particular employment sector or industry, whether that’s creative industries such as publishing and marketing, or operation-led roles, such as warehousing and logistics. Finally, if you’re represented by a credible agency, then it’ll work in your favour as it’ll give you a competitive advantage. If the agency and client have a good working relationship, then you already stand a far greater chance than you would as a stand-alone candidate, most notably because the recruiter will have a huge amount of inside knowledge about the client that they can provide and by providing specific pre- and post-interview feedback. It’s also worth noting that if your CV doesn’t jump off the page, a good recruiter may secure an interview while your CV alone may not have. How can I find the right recruitment agency? If you’re considering signing up to an agency, it’s important to do your research first. Shop around and try to meet the recruiter face-to-face. Ask plenty of questions about their client-base and the types of roles they advertise. Most reputable agencies pre-screen their candidates. This tends to be an informal conversation about your career goals and work experience. It may include some basic competency tests to gauge your level and suitability for specific roles. The recruiter will ask for specific information regarding the type of role you’re looking for. It’s important to consider your answers beforehand, as this will improve your chances of being matched with the right role. You should be able to confidently answer the following questions: Finally, be ready for a good recruiter to question your motivation to move roles. Will a recruitment agency improve my chances of employment? Recruitment agencies enable candidates to easily access a wide range of clients in their particular industry, gain interviews more easily and be informed about roles that aren’t placed into the mainstream. Some agencies work with small-to-medium enterprises (SMEs) and therefore can have access to local business opportunities. Whereas other agencies may have a broader client-base that covers a number of areas and regions. Once you’ve met with a consultant and discussed your options, they might suggest some ‘next-steps’ to help you improve your chances of getting work. This may include CV tips, developing skills or gaining voluntary experience (if you’re considering a career change) or remaining where you are! They will know if your situation is actually a good one. Remember: consultants will only put you forward for a role if your application is strong enough and covers all the key areas and their clients’ demands and expectations will often change through the process. Every time a consultant recommends a candidate, their reputation is at stake. What if I’ve been out of work? If you’ve been out of work, this can impact your self-confidence as an individual. Consultants understand this. It’s their job to offer encouragement and support throughout the process. Most agencies offer professional guidance and practical suggestions to help you get back to work. This may include interview tips, help with CV-writing and general advice when it comes to understanding a specific industry. For more tips, please see our previous blog post on writing a CV when you have been out of work. If you’re considering a career change, consultants may look at your job history and suggest an appropriate field or role. Most skills are transferrable and can be utilised in a number of ways. If you have a particular role in mind, then your consultant should be able to advise on this and suggest any skills that are vital for the position. You should then look into gaining these skills, be it through work experience, internships, online tutorials, or additional study. If you’re interested in a new role, we are actively recruiting and need candidates for both permanent and temporary roles across Milton Keynes and Northampton. Please email your CV over to info@ascendantrecruitment.co.uk or call the team on 01908 270200 (Milton Keynes) or 01604 439380 (Northampton). Timing is everything and sadly as we approach Christmas once again we hear that redundancies are occurring in Milton Keynes. Whilst there’s never a good time to be made redundant we think the run-up to Christmas is possibly the worst? This is a stressful time for the individual involved and their family and whilst you’ll be counselled that this is a business decision, we understand that you cannot help but take the decision personally. The good news is, that lots of companies are hiring new staff. We’ve got great roles working for some of the best employers in Milton Keynes. Our clients are looking for administrators, call centre staff, collections advisors, team leaders, payroll administrators and customer service executives. 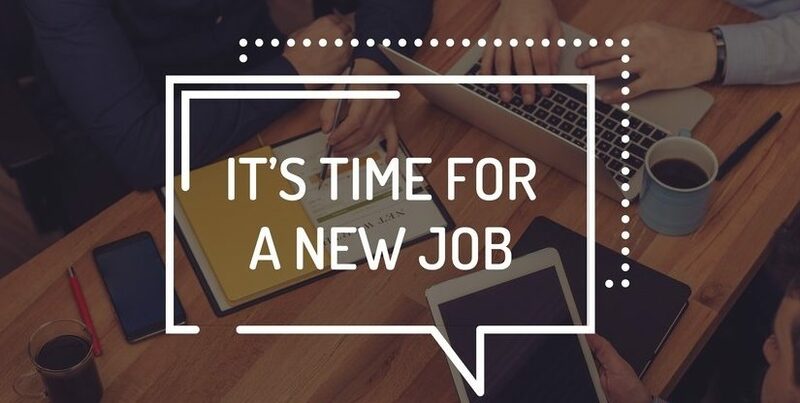 So, if you are facing redundancy, please get in touch with our team on 01908 200270 and we can talk to you about some of the roles we are looking to fill straight away! We’d equally like to hear from you if you’re not being made redundant but you’d like to know what we can do to help you. We’ve written some blog posts in the past which may be useful for you if you are facing redundancy: How to write a CV when you have been out of work Life after redundancy – what next? Please seek advice from your HR team if you are facing redundancy so that you get the best possible package to set you up once you leave work. And speak to your line manager to discuss the possibility of time off to meet with agencies and attend interviews during your last few weeks at work. Our team can be really flexible about meeting up with candidates so that we can register you for roles and start job hunting on your behalf. We have a broad scope of live vacancies, both on a temporary and permanent basis. So if you are looking for a temporary position to pay the bills whilst you think about your next move or if you are looking for the right permanent option, our clients are actively looking today and we want to hear from you! We’re coming to the end of Parent’s Week (17-23rd October), so we thought we’d take a look at the issues working parents continue to face, and offer ways to help reduce stress. The benefits of flexible working Some parents choose to opt for a flexible learning set-up, which allows them to better manage the daily responsibilities of being a parent. All employees have the legal right to request flexible working. So if this is something that interests you, then speak to your line manager or HR team to discuss your options. There are plenty of studies that suggest flexible working is not only a practical solution for many, but also increases levels of productivity. For more information, you can read our previous blog on the issue: Why flexible working can increase productivity. Know your parental rights As a working parent, knowing your entitlements is key. Employers should be supportive and allow an amount of flexibility (within reason), when it comes to parental responsibilities and balancing this with the demands of work. There will be times when you have to drop everything for your child, whether it’s to collect them from school or the nursery due to sickness or childcare falling through. You can take time off work (unpaid) to deal with any unexpected issues or emergencies involving your children. For further information on your parental rights, visit Families Online or Gov.uk for professional advice. How to reduce guilt as a working parent Most parents experience guilt at some stage, especially when it comes to balancing home life and pursuing a career. Parents can find the prospect of returning to work following maternity or paternity leave both distressing and upsetting. It’s normal to feel this way, especially as you’ve spent weeks or months bonding with your new baby. Guilt can be incredibly stressful, particularly when you have meetings, deadlines and projects to focus on. Read our blog post on how to reduce guilt as a working parent here: Five tips for reducing the guilt of being a working mum Self care: hints and tips for working parents These days, people are adopting various strategies when it comes to reducing stress and practicing self-care. We are told to look after ourselves, eat well, exercise regularly, meditate, the list goes on. But what if you’re a parent with children to wash, dress and feed? You’re not alone. In fact, there are a number of useful tips on self-care methods for parents that are both practical and achievable. These include the following: Arrange for childcare and schedule 1 hour per week for a coffee and chat with a close friend. Take a brisk walk in the park and listen to a podcast. This is a great way to get exercise, fresh air and engage in an interesting debate or topic of choice. Call a friend, parent or loved one. Keep a journal and write for a few minutes each night - it's a lovely way to unwind and clear your mind for a good night’s sleep.